UK producer Timmy P deliver three house cuts for the seventh instalment of Lovecrimes this month with his ‘Dance Floor Flirt’ EP. London-based DJ/producer Timmy has apparently gained notoriety in the house music scene for his dance floor focussed productions, which have been picked up by labels including Local Talk, Nofitstate and Dessous Recordings. 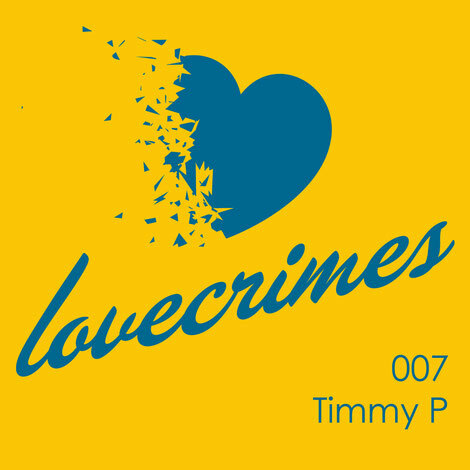 Timmy P continues to establish himself as a purveyor of house music here with his ‘Dance Floor Flirt EP’ on Lovecrimes. ‘Dance Floor Flirt’ opens with shuffling organic percussion, a vocal hook and chord progressions, underpinned by a rumbling low-end before ‘Roadhog’ delivers a crunching kick, sharp cymbal work and a hypnotic synthesiser melody. ‘Movin ‘N’ Bumpin’ then combines a grooving bass hook, warped transitions and synth stab motifs alongside vocal samples to close to the release.